The first black president of Rock the Vote encouraged GW students to take ownership of the youth voice in politics at a speech in the Marvin Center last week. Jehmu Greene, the keynote speaker for GW’s month-long Black Heritage Celebration, resonated with the students Tuesday night, especially as race is becoming a prominent issue in this year’s presidential campaign. 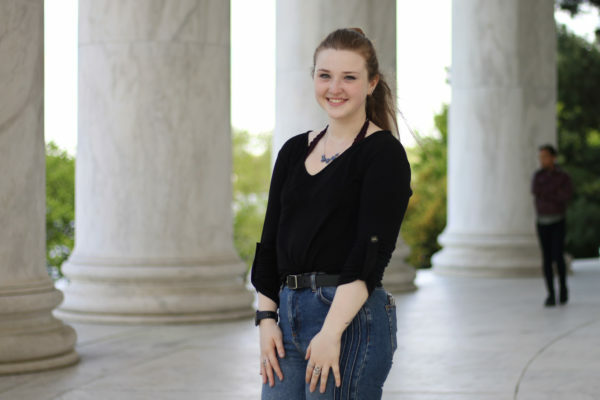 She stressed that GW students especially need to speak out because they have “access to power” as they living in D.C., the center of both American politics and leading organizations that tackle social issues. The theme of this year’s Black Heritage Celebration is E Pluribus Unum, which means “Out of Many, One.” The Black Student Union worked with student organizations such as the Student Association, College Democrats and Republicans, and SASS in the City to “reach out to further prompt unity or oneness,” said Aundrea Williford, the second vice president of the BSU and the chair of this year’s Black Heritage Committee. All of the program titles for the month-long celebration include the “one” theme, such as the music lecture, “BH1: Behind the Music” or the discussion about issues in the community, “1 Time For Ya Mind”. Many of the BHC events this month are also focused on politics, such as the history of voting lecture and the lobbying letter writing workshop. “Our big goal this year was to empower students, especially in light of the elections this year, to use their voice and collective power to make change,” Williford said. “We had a political keynote for last year’s BHC, but given the elections, the social landscape of the past year, and GW being named the most politically active university, this year’s BHC presents a unique opportunity for GW students,” said Charles Basden, president of the BSU. Michael Tapscott, director of the Multicultural Student Services Center, said Black History Month is about recognizing populations that have been overlooked in the past.